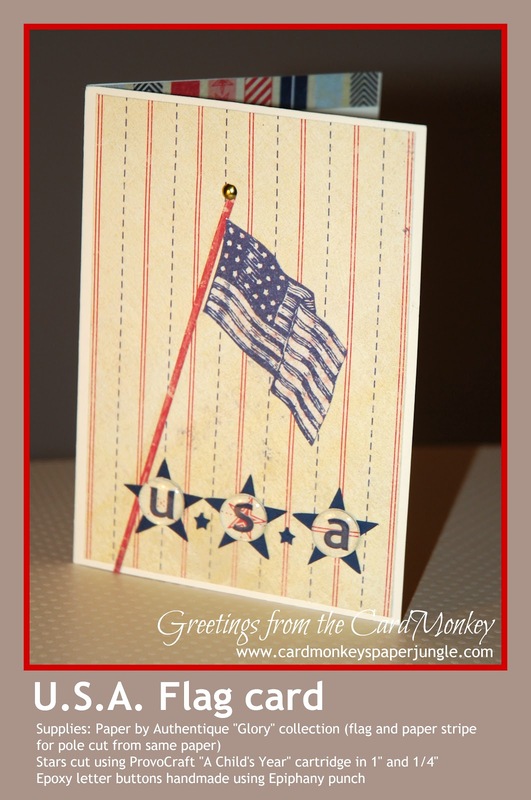 Welcome to Day #2 of the Celebrate Freedom Blog Hop, sponsored by Lisa at Honeybearz Designs. Honestly, I don't think there's any place better in the whole U.S.of A. to celebrate Independence Day than in the City of Brotherly Love, my hometown, Philadelphia. 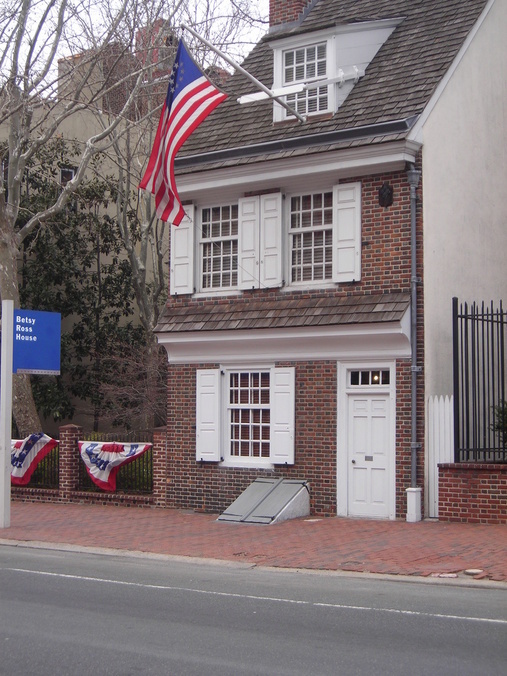 If you've never been -- be sure to come at least once in your life to see Independence Hall, the Liberty Bell, the National Constitution Center, the home of Betsy Ross, and more. History breathes here. 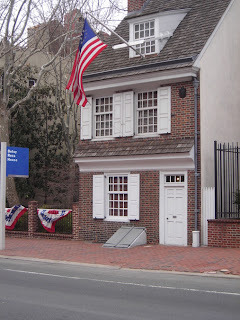 Believe it or not, I once lived in a home modeled after the Betsy Ross house and built in the same era. Yes, it was teeny-tiny -- just 13' wide and 54' deep. But it was fun, fun, fun living in the cradle of history. 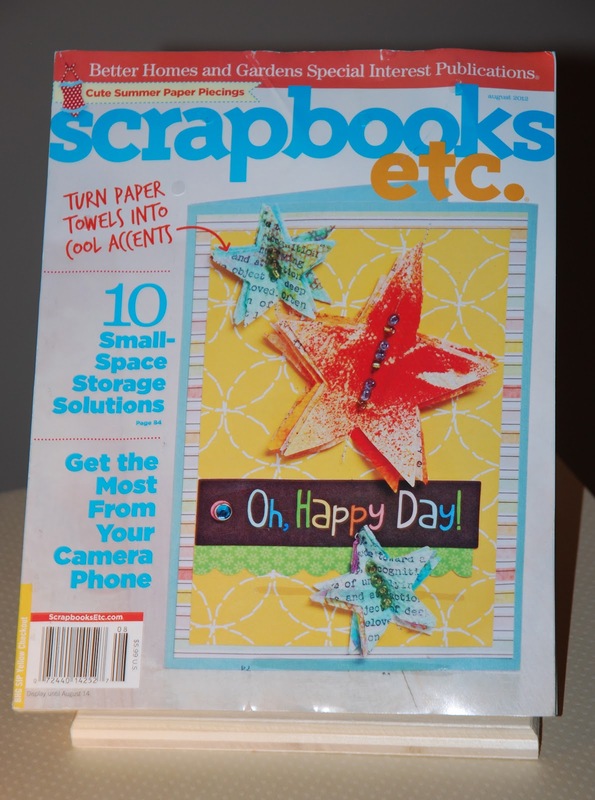 To win it, please be a follower of my blog, and leave a comment here. Please be sure that your comment today answers the question (above), and also provides a way for me to contact you when you win. P.S. The votes are in! 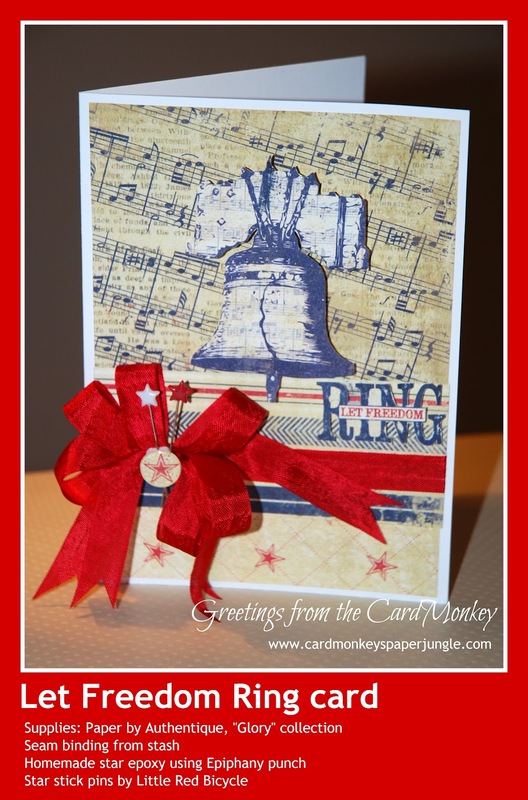 The favorite card here, selected by PaperJungle readers, is "Let Freedom Ring." Thank you to all who voted. I'll be linking the winner up to "A Homespun Affair", the new digital magazine. Check it out and sign up ... it's free! Hi Card Monkey, Love the Let Freedom Ring card. The paper makes it pop. Have a great 4th of July! We live in the best country ever. Enjoy your bananas. Oh My! You really want me to pick one! All of your cards are wonderful but I really love the Let Freedom Ring card! I would love to visit your hometown, it's on my list of places to visit! 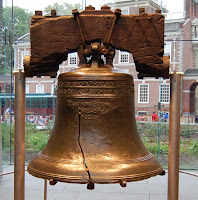 Have a Safe and Happy Independence Day! What a hard choice. If I have to choose it would be the let Freedom Ring card. TFS. All are very nice, but I liked the star one best---surprise! oh Ellen, that is so unfair...all your cards are gorgeous!!! I will pick "Let Freedom Ring" that beautiful bow adds a little extra yumminess! 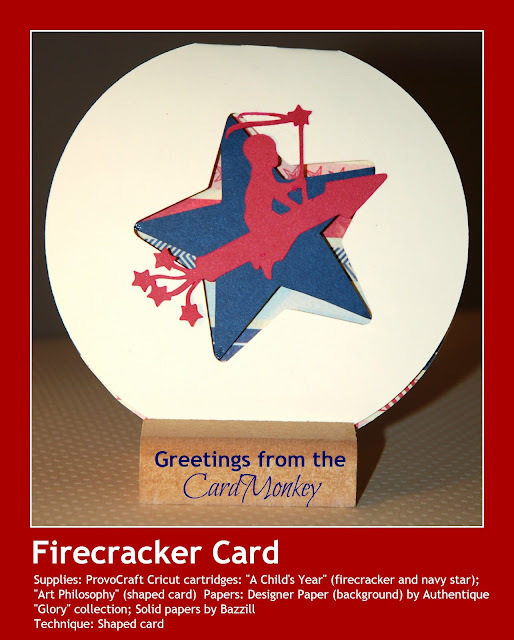 While I think they're all fab, I really like the Let Freedom Ring card- great design and background! The flag is my fav, even though the other two are also fantastic! But there has to be a winner of your heart, isn't it? I have enjoyed this great blog hop so much. I love the respectful patriotic themes highlighting what is best of this country that ii am proudly proud to be a citizen! You have been busy! Love all the cards. I love the first card with the ribbon and the star pins. I love the beautiful red ribbon, button and pins! They really bring everything full circle with the sentiment! What a unique design on the Rocket/boy card. I love that it's just a shadow effect. And the paper used on the last card reminds me of kindergarten...back when life was so mu simpler and free-er. You didn't have to worry about the kids out and playing so much. I think my fav would be #1 ~ just keep going back to that ribbon lol. Happy Independence Day!! 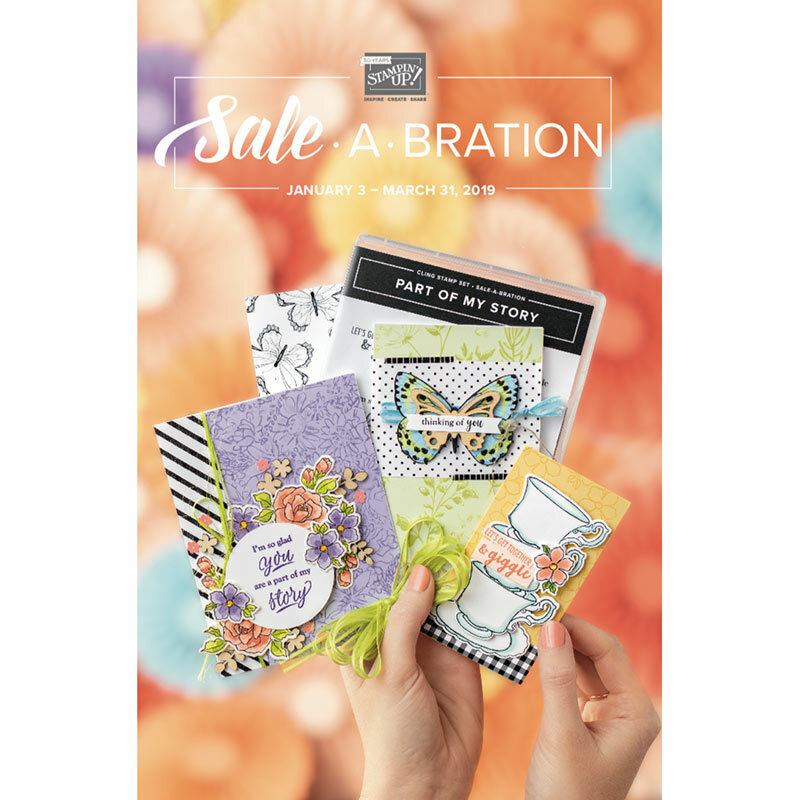 All your cards are fabulous!! I think my favorite has to be the liberty bell card, LOVE the stick pins you used and LOVE that ribbon!! Happy to be a part of this hop with you! Ellen I just LOVE reading your posts!! SO glad we stopped by! WOW!! 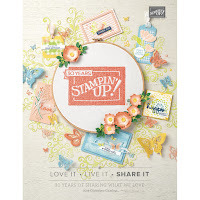 !Love both cards but the Ribbon are FABULOUS!! !Awesome job!!! Wow that piece of History sounds really small, so glad it was fun for you though..